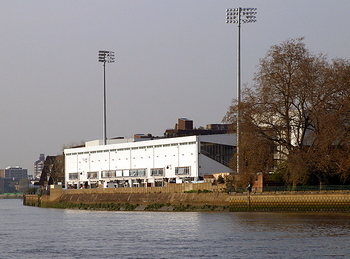 Tottenham Hotspur called White Hart Lane home from 1899 until 2017. The space the ground was built on was originally a nursery that was owner by Charringtons, a brewery chain, and was sitting disused. 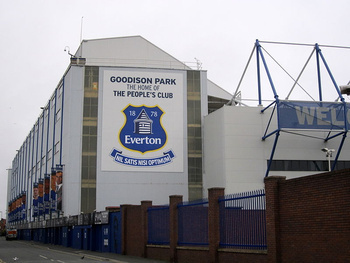 The ground was redeveloped in the early part of the 20th century by renowned stadium designer Archibald Leitch who had also designed grounds such as Stamford Bridge, Villa Park and Old Trafford. 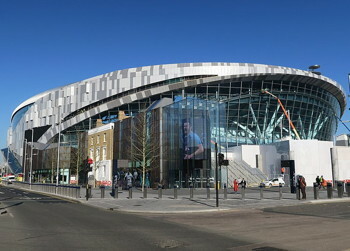 In 2019 they moved into their current home of the Tottenham Hotspur Stadium, built on the same site as White Hart Lane. As for Spurs themselves they have numerous claims to fame. They are the only non-league team to ever win the FA Cup, for example, something that they achieved in 1901, 19 years after the team had been formed. They were also the first team in the 20th century to win a league and FA Cup double, which they did in 1960-1961. In 2017 the club made the decision to demolish White Hart Lane in order to build a new stadium on top of it, which opened in 2019 under the imaginative name of Tottenham Hotspur Stadium. Team Owner ENIC International Ltd.
Tottenham Hotspur Stadium has been designed in the ever-increasingly popular bowl style. The initial plan was for there to be around 58,000 seats, only for the club to confirm in March of 2018 that they'd been able to expand it to a final figure of 62,062. That makes it the biggest club ground in London. 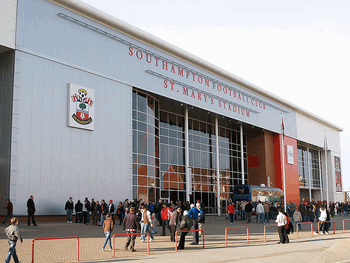 The South Stand - The stand to the south of the ground has been designated as the home end and has 17,500 seats. That makes it the largest single-tier stand in the entire country at the time of writing and is meant to be the stadium’s ‘heartbeat’. It was inspired by the ‘yellow wall’ of Borussia Dortmund at their Signal Iduna Park ground in Germany. At the front of the ground is a section of seating that has been future-proofed by having safe-standing rail seating installed. The stand is 34m tall with 233 steps and contains a market place full of shops, bars and restaurants. 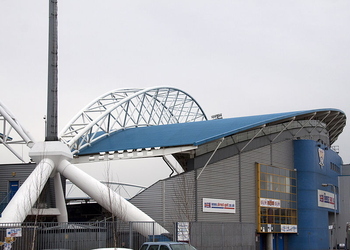 The North Stand - With three tiers, the North Stand is designed to welcome away fans in its north-east corner and home supporters across the rest of it. 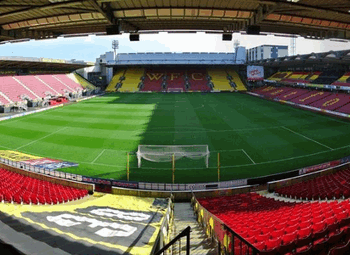 As with the South Stand, there is rail-seating installed should the laws on safe standing change in the future. The stand is 35.5m tall with 4 concourse levels. 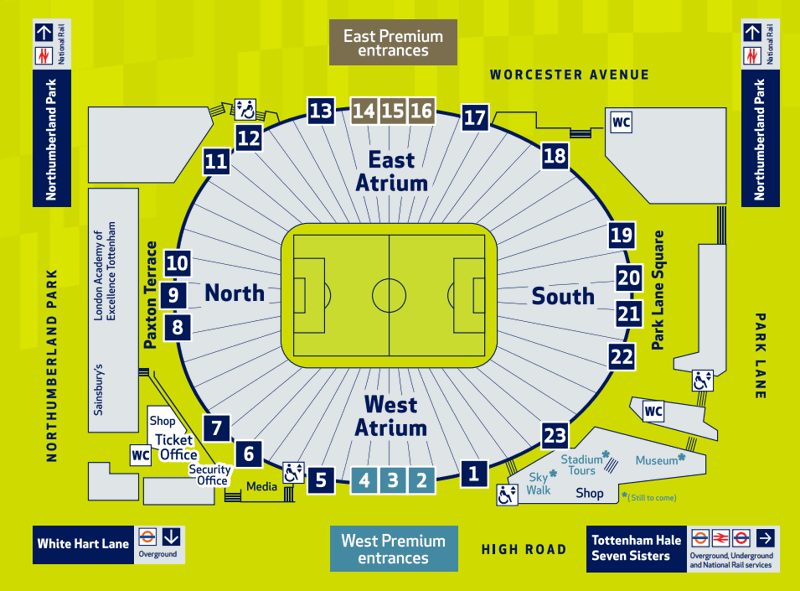 The East Stand - The East Stand has four tiers, of which two are designed to host premium seating. These cater to Tottenham’s corporate clients. As with the rest of the stadium, some of the seating in the East Stand has been made with the ability to quickly convert it to safe standing, should the laws on the matter alter in the future. Two of the stands are smaller to accommodate some of the 8000 premium seats and 'private loges' (pitch-side restaurants in normal speak). The stand is 33.8m tall and features the White Hart and The Shelf bars. The West Stand - The West Stand matches the East in terms of the number of tiers and the dedication to corporate supporters. 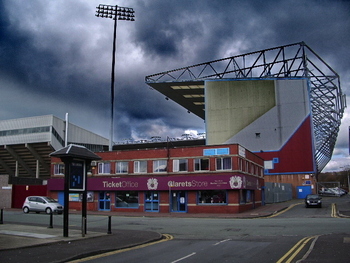 In the north-west of the ground is a section that is dedicated to families. this stand is 33.2m tall and features The Dispensary bar. The ticket pricing for Spurs matches is reasonably simple. Games are broken down into three different categories as follows: Category A includes the likes of - Arsenal, Chelsea, Liverpool, Manchester City, Manchester United, West Ham United; Category B - Everton, Newcastle United, Southampton, Watford; Category C - AFC Bournemouth, Crystal Palace, Leicester City. Within the different categories there are then separate ticket prices depending on which stand you’re looking to sit in and who it is that is buying tickets. Adults, senior citizens and juniors will each pay a different amount. Here is an idea of the price ranges for an adult for the various categories. With 42,000 seats at the new stadium going to season ticket holders and 8000 to premium packages if you want a standard seat in a game register your interest early. Spurs operate a ticket exhchange system for fans and season ticket holders that cannot attend the game, this gives you face value price back minus a £4.50 admin fee. Like with most Premier League clubs, the best way to pick up tickets to see Spurs play is via the team’s official website. Failing that you might be able to get some from the ticket office at the ground or via the club’s official partner StubHub. 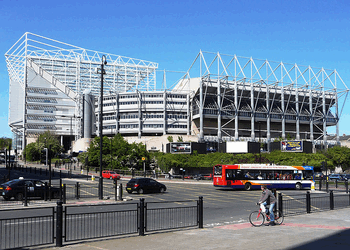 There may be people offering tickets near to the stadium on match days but we’d recommend that you avoid them. The tickets may not be real and even if they are it will almost certainly go against the club’s official ticketing rules so you might find yourself asked to leave or not allowed in in the first place. 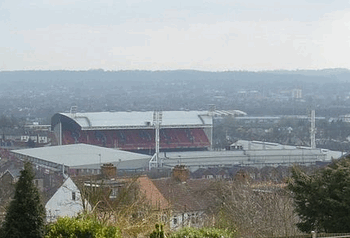 Tottenham Hotspur Stadium is in North London, so it’s fair to say that getting to the ground isn’t as tricky as it might be to head to somewhere in the back and beyond. If you’re after some more detailed ideas, though, then keep reading. Train - White Hart Lane and Northumberland Park are two mainline stations that are both within easy walking distance of the stadium. You can get to both of them via Victoria line stations such as Seven Sisters and Tottenham Hale. As the Victoria line is on the London Underground network you can arrive into London via any of the more popular main stations like Euston and King’s Cross. Bus - London has an extremely good bus network with plenty of services that run towards the ground. Transport for London have an excellent website that can tell you exactly which bus to get and precisely where to get it from, should you wish to take a bus to the stadium. Car - The ground is one mile south of the A406 which is easily accessed from the M25 or the A10. 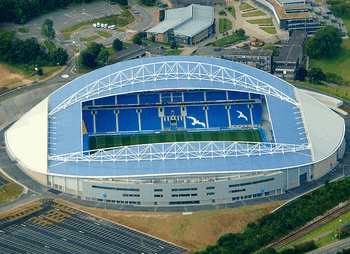 If you’re in the city then it’s the A10 that you’ll want to be following, whilst if you’re on the M25 then you’ll need to leave about 15 to 20 minutes to make it to the stadium. By Air - London as a city is serviced by several airports, most notably Gatwick, Heathrow and Stansted. It is the latter that is closest to the ground and it has direct train access to Tottenham Hale. It will take you about 30 minutes to get from the airport to the stadium. Taxi - The public transport network in London is exceptional, so you might be better to consider options other than a taxi unless you’re in a rush. To give you something of an idea of pricing, though, a taxi from Euston to Tottenham Hotspur Stadium will take about half an hour, depending on traffic, and it will set you back around £30. 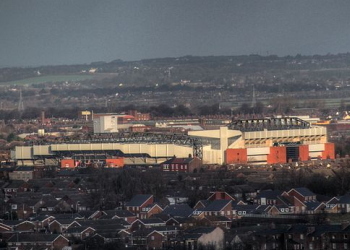 There are parking restrictions in place around the ground on match days and non-residents that try to park in a restricted zone will find their car hit with a Penalty Charge Notice or even towed away. The best thing to do is to move out of the restricted zone to somewhere that’s still on the train or tube network and come in from there, but there are probably other private parking options a bit nearer to the ground that might serve you better. The new Spurs stadium is in fact now designated a 'Public Transport Destination', meaning they are doing as much as they can to discourage car travel. They claim that over 60% of fans went to the match using a car in 2003, dropping to 42% in 2014. Their aim is to get down to a maximum of 24%. It goes without saying that the hotel options throughout the city of London are too numerous to mention. We’ve picked out some choices for you that are slightly closer to the ground to help you narrow down your search, however. Around 3 miles from the ground is The Pembury Hotel, a Victorian style bed & breakfast with a garden, self-parking and free Wi-Fi. Spurs fans might not love staying in an area of London more commonly associated with their bitter North London rivals Arsenal, but 3 miles away from the stadium sits this Best Western hotel that offers self-parking, free Wi-Fi and a bar area, so it should definitely be considered. Although you’ve got to travel a bit further to get here - about 6 miles, in fact - The Hilton in Islington offers exactly the sort of quality you’d expect from such a well-known hotel chain. You’ll get self-parking, free newspapers in the reception area and, of course, the now obligatory free Wi-Fi. London isn’t exactly known as a quiet and retiring city, so you won’t be short of options if you fancy getting a drink or two before the game. There are some choices that are a little closer to the ground here, though. The Bricklayer’s Arms is an excellent little pub that has a huge beer garden, shows pretty much all sports on large screens and is really close to Tottenham Hotspur Stadium. The only thing to bear in mind is that it is very much a pub for the home team’s supporters. 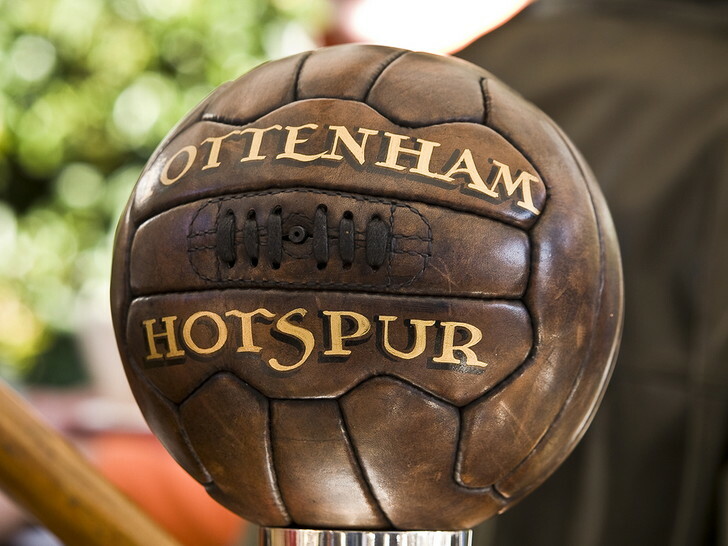 A really popular pub that specialises in showing football matches and offers a great atmosphere on a match day. It’s another pub that’s close to the ground so you’ll find plenty of Spurs fans here, though you should be able enter if you’re an away supporter as long as you don’t support one of the main rivals of the North London club. This is a little further afield than the other two pubs on our list, but you’ll be guaranteed entry no matter which team you support and you’ll also find good drinks, tasty food and live sports on offer here. 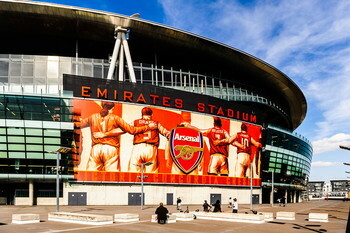 The Tottenham Hotspur Stadium is one of the best ground’s in the world when it comes to the facilities on offer. 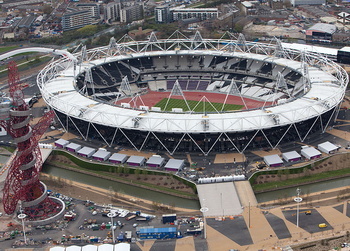 Given the amount of money spent on building it, £1,000,000,000, we’d be inclined to agree. This stadium is built for a modern fan base, modelled on US sports venues the stadium itself is a retail and leisure complex. Spaced over 9 floors the stadium boasts 65 different themed food and drink outlets and the longest bar in Europe at 65 meters, called the Goal Line bar it covers the entire length of the, you guessed it, goal line. For the environmentally conscious there are also no plastic straws. Separate facilities are provided for football and NFL players with different lounges, changing rooms, etc., with different arrangements available to suit US media requirements. There is also a retractable pitch with two different surfaces for NFL and football at different heights for optimal viewing. The pitch an be switched in 25 minutes and when in storage can be maintained using an internal grow light system. One of the feature attractions is the Sky Walk, this is a viewing platform above the south stand from which you can view London, the pitch and even abseil down from. Part of this is the Sky Bridge, the words first footbridge hanging from a stadium roof. The stadium also boasts the fact it is now cashless, claiming this will increase service efficiency and improve hygiene. While this may be true it is also alienating to many older fans and tourists at the same time. Likewise there is no betting in the stadium, and if you want to bet on the wifi you are restricted to using their betting partner, William Hill. White Hart Lane offered impressive hospitality sections, so it’s no surprised that the same is true of the club’s new home. Whether you’re simply hoping to experience the match in the comfort of a premium seat or would like the full-on lounge hospitality experience, there’s an option for you at Tottenham Hotspur Stadium. Given London is one of the biggest hospitality centers in the world it is no surprise then that with 8000 'premium seats', representing around 13% of the overall capability, the stadium is aiming to capture a large slice of the action. Premium seats are between 52-70cm wide, bigger than the 47cm standard seats, with enhanced legroom, and packages come with food, drink, lounge access, etc. Packages are game dependent but range from £360 to around £600. Throw in a three course meal pre-match and that will rise to the £600 to £900 ball park. Those of you that want the complete hospitality experience can rent a box with a private chef, for example, whilst there are also both loges and lounges in the style of a more continental football stadium. The H Club is an example of the sort of thing you can experience, being a private members club in the heart of the stadium. The Broadcast booth is the pinnacle of corporate hospitality for a proper fan. These private booths for 6 people are located in the West Stand at an optimal viewing position but close enough to the South Stand to get some atmosphere. They come with booze and food, but also an ex-Spurs player for 'expert tactical analysis and discussion'. 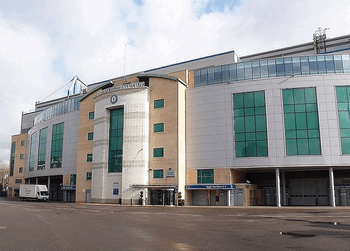 Just as the hospitality options on offer at Tottenham Hotspur Stadium reflect those that you would have enjoyed at White Hart Lane, so too do the private hire options available to you remain virtually unrivalled. 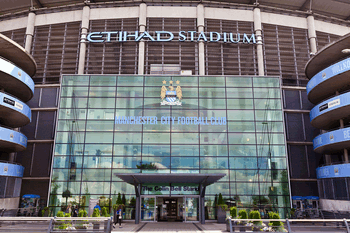 You can hire most sections of the ground for your own use, with the likes of conferences and weddings being high on the list of agendas for most. The club is willing to cater for almost any event, so if you want to know more then just get in touch with them and see what they’ve got to say. The Tottenham Stadium has an internal space four times larger than White Hart Lane and has been built as much for private hire as a home to Spurs. Tours of the new stadium offer supporters the opportunity to look behind-the-scenes of one of the newest football stadiums in England. All of the usual sights will be included, such as the dressing rooms and the dugouts. The stadium also has a Sky Walk with a thrilling view. The stadium includes a museum looking at the various important moments from the club's history. 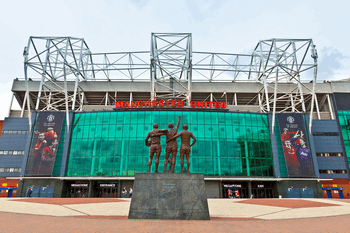 A guided stadium tour will cost in the region of £30 for an adult and £15 for children. We’ve already mentioned the FA Cup win in 1901 and the League & FA Cup double that Spurs consider to be part of their real claims to fame. Another thing that Tottenham fans like to remind people is that the club was the first British team to win a UEFA competition when they picked up the European Cup Winner’s Cup in 1967. Spurs were also the inaugural winner of the UEFA Cup in 1972. The club’s motto, Audere est Facere, means To Dare Is To Do and when the club won the League Cup in 2008 it meant they had dared to win a major trophy in each of the last six decades. That is an accomplishment that has only been matched by Manchester United. The emblem of the club is a cockerel standing on a football, and there was a large brass version of that looking down on White Hart Lane, and now one twice the size looking down on the new stadium. As with any new football ground, the true history of Tottenham Hotspur Stadium has yet to be written. What we can tell you is that the venue was given the go-ahead as the centrepiece of the new Northumberland Development Project, which was designed to completely renovate the Tottenham area for the next two decades. 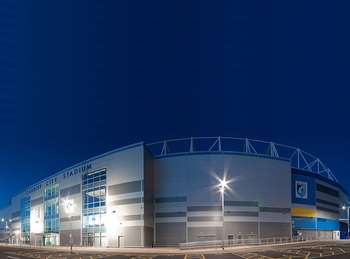 The idea behind the new ground was first mooted in 2007 and given the go-ahead the following year, but numerous changes were implemented to the design before plans were actually put in motion to get it built. 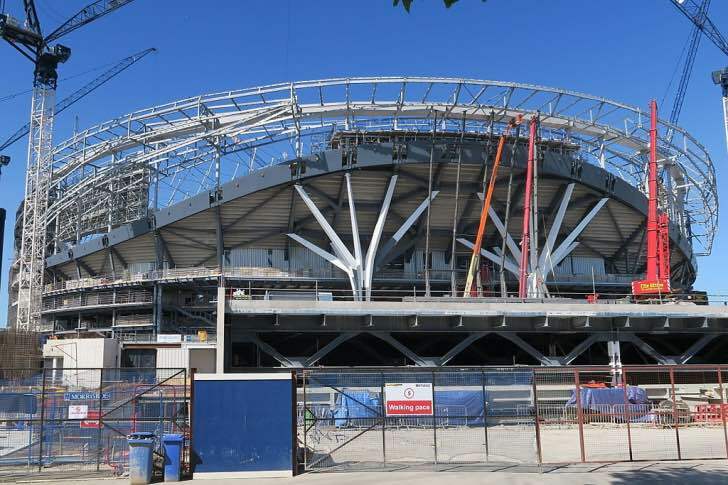 Construction plans began in earnest in 2015, with White Hart Lane being demolished at the conclusion of the 2016-2017 season and the new stadium being built thereafter. 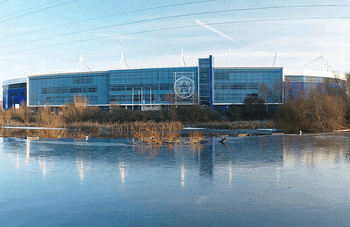 In 2013 the club not only confirmed the overall plans for the new stadium but also announced plans to make it a multi-purpose venue. Two years later a deal was reached with the National Football League in the US to see some American football games played at Tottenham Hotspur Stadium, with two matches a year planned for ten years. 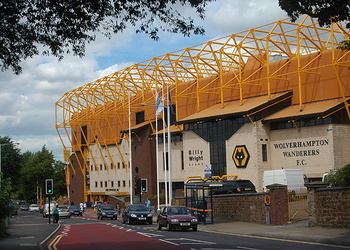 The global architectural firm Populous was responsible for the final design of the new ground, with construction of parts of it getting underway before White Hart Lane had even been demolished. Spurs played their home games at Wembley whilst the destruction of one ground and the construction of the other was taking place. Spurs first game in the new stadium was a weeknight Premier League London derby under the lights, against Crystal Palace. The home club won 2-0 with Son Heung-Min becoming the scorer of the first ever competitive goal in the stadium. Lucas Moura scored the first hat-trick in the ground the following home game against Huddersfield in a 4-0 win. They also beat Manchester City 1-0 in the first Champions League match played there, a quarter-final first leg. Given the stadium is the newest in the Premier League, it’s no major surprise that there aren’t any big plans to alter things in the future. That being said, the first priority that the club have got is in ensuring that everything works as it’s supposed to over the course of a season. With that in mind, the club might make changes or alterations to the way that the stadium works in the coming months and years. As and when they do, we’ll update this section accordingly. 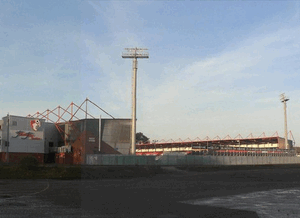 The original opening of the stadium was beset by problems, with the first opening date intended for the 17th of September 2018. It was soon announced that the opening would be delayed, with the club's use of Wembley Stadium as their home ground being extended time and again. The delays also saw the proposed cost of the stadium rising more and more, from an initial £300 million in 2007 to around £1 billion in November of 2018. The club's first game in their new stadium wasn't until April of 2019.